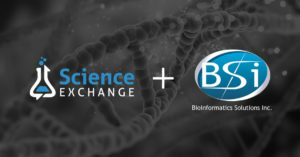 PALO ALTO, CA, December 11, 2017 – Science Exchange, the world’s leading and most secure enterprise platform for outsourced research and development (R&D) services, announced the partnership with Bioinformatics Solutions, Inc. to offer online access to its protein de novo sequencing services to scientists around the globe. As the creators of the well-known, highly established PEAKS Software, the golden standard of de novo sequencing, Bioinformatics Solutions, Inc., offers their de novo sequencing expertise to scientists at a new level by sequencing the samples themselves. Over the last few years, Science Exchange has undergone extensive growth and recently received a $28 million in Series C funding led by Norwest Venture Partners. 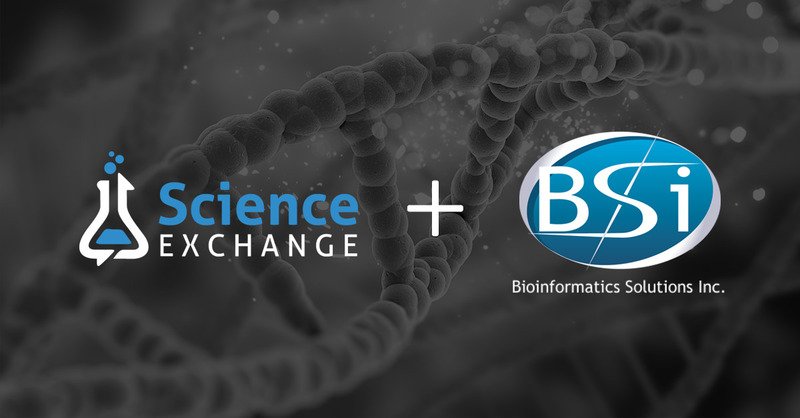 By continuing to team up with companies like Bioinformatics Solutions, Inc. Science Exchange is providing researchers worldwide with access to the most important scientific services to advance their experiments. For more than 15 years, Bioinformatics Solutions, Inc. has been changing the field of proteomics analysis, by pushing the boundaries of its computational limits and striving to provide groundbreaking research with the customer-first approach. Bioinformatics Solutions, Inc. believes the only solution is one that incorporates quality and timely results, a satisfying product experience, customer support and two-way communication. This diverse and adaptable group is committed to serving the needs of pharmaceutical, biotechnological, and academic scientists; and to the progression of recombinant protein production and drug discovery research. For more information, visit scienceexchange.com/labs/bioinformatics-solutions-inc. Follow the company on Twitter @PEAKSProteomics and @PEAKSAB.